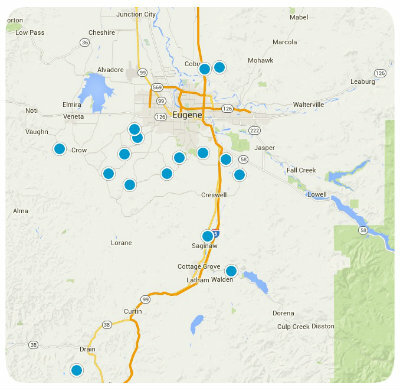 Southwest Eugene is home to some of the most desirable real estate in Eugene. This area encompasses the South Hills with homes that have amazing views looking down on the city. Homes in this area generally cost more on average than other areas in Eugene. This area contains a mix of both smaller homes and very large homes and there are also some new homes available for sale in the area. If you see a home for sale in Southwest Eugene you would like to see, give us a call today to schedule a tour!